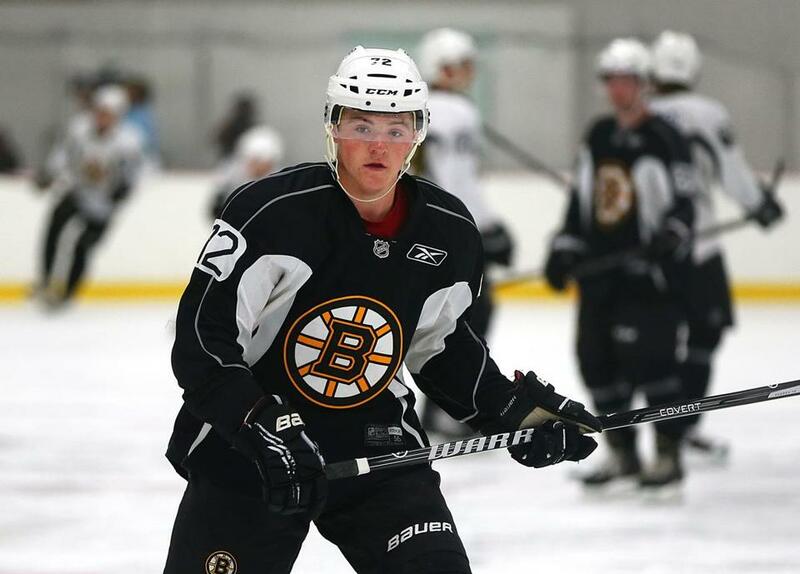 Ryan Donato’s father, Ted, spent nine seasons with the Bruins. WILMINGTON — This was not going to be like the other interviews. The faces were familiar, the names known. These were friends and colleagues of his uncle, Scott Fitzgerald, and of his father, Tom. These were people who knew what questions to ask him, and what the answers would be. These were not the faceless executives in the other rooms with the other teams. No, this was not going to be like the other interviews. “Walking in and seeing a lot of familiar faces was funny,” Ryan Fitzgerald said of his predraft meeting with the Bruins. “You’ve got to remember that this is a professional interview. You’re not acquaintances with them as of yet, so you just walk in and try to be as professional as possible and give honest answers. Fitzgerald’s uncle, after all, works in the Bruins’ front office as the assistant director of amateur scouting, and his father is a former Bruin and currently the assistant general manager with the Penguins. So, yes, the organization knew just about all there was to be known about Ryan Fitzgerald. Because the Bruins selected Fitzgerald in the fourth round (120th overall) in 2013. They took a player with whom they were familiar — very familiar – and brought him into the team, the family. He’s not the only one. Of the 23 prospects at Bruins development camp this past week, five came with ties to the organization — from fathers who played with the team (Fitzgerald, Ryan Donato) to fathers who work at TD Garden (Matt Grzelcyk), to uncles who work or worked in the front office (Fitzgerald, Matt Benning, Mitchell Dempsey). It’s enough that, when the topic is brought up to Don Sweeney, the assistant general manager sighs good-naturedly. “Nepotism, I guess,” said Sweeney, Dempsey’s uncle. The five players have been added to the organization gradually, starting with Grzelcyk (85th overall, third round) and Benning (175th, sixth) in 2012, continuing with Fitzgerald and Dempsey (210th, seventh) in 2013, and now Donato (56th, second) this year. Grzelcyk’s father, John, is a longtime member of the Bull Gang at TD Garden. Benning’s uncle, Jim, was an assistant general manager with the Bruins, and is now the GM of the Canucks. 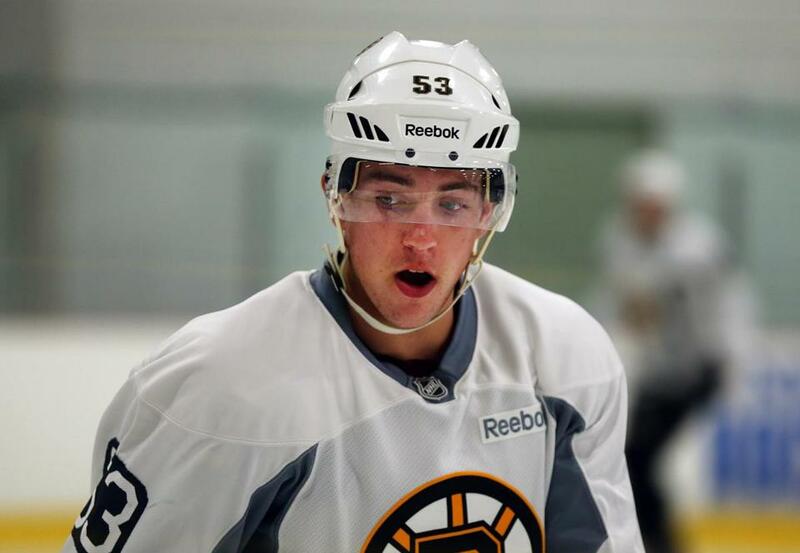 Donato’s father, Ted, played with Sweeney at Harvard and spent nine seasons with the Bruins. It’s something that helps turn an extremely inexact science — projecting the athletic fortunes of players not yet old enough to buy a lottery ticket — a little more exact. It strips away some of the questions necessary in the interview, streamlines the process for a team looking at dozens of prospective draftees. The Bruins knew just about all there was to know about Ryan Fitzgerald when they drafted him in the fourth round in 2013. Chiarelli saw the nerves, in that interview, and in Donato’s this spring. He knew the pressure that would be placed on those youngsters, some of it by him. He admitted that he expects more from these prospects — right or wrong, as he put it. So, yes, maybe that bit is there, enough to cull success out of any chance of failure. They are here, in Boston, partially because of their bloodlines. And if that helps make them less likely to wash out, more likely to put in the work necessary, the Bruins will take the tradeoff. The histories stretch back years. Chiarelli’s son, Cameron, is in the same age group as Donato, so the GM — who also knows Ted Donato both from Harvard and his Bruins connection — has watched him play for years. Was he scouting him all that time? “Subconsciously, I guess,” Chiarelli said. But that doesn’t mean they get special treatment, that those players are picked too early simply because of a last name. As Chiarelli said, “We put all these guys in a certain slot before we draft them, so they all go through the same mill that the rest of them do. And with that, of course, comes that pressure — for the players, sure, but also for the organization. Both sides know that some might wonder if these players belong in a Spoked B, if they’re there because of, yes, nepotism. Perhaps the Bruins should have taken another player in that spot, a better player, a player that didn’t have the allure of family ties. So it is, as Matt Benning said, a double-edged sword. That’s what the organization wants, what it expects. Because the Bruins don’t want these prospects to fail. That doesn’t help them. That equals a wasted draft pick, a wasted chance to develop a player who could be a crucial piece of their next round of success. So, no, it is not a favor. It is not a handout. It is a real shot with a real team that believes that the Donatos and the Fitzgeralds and the Grzelcyks and the Bennings and the Dempseys will be assets for the Bruins, not just because of their DNA. “We’re trying to find the best players,” Sweeney said. “That’s the bottom line. The impetus behind drafting guys that we’re familiar with, well, we feel like those guys at that particular spot where we’re drafting fall into the wheelhouse of the player that we wanted.